Weekly Happenings: This past week ushered in the month of December. It’s hard to believe that we’re already at this point. In just a few short weeks it will be Abigail’s birthday (what?!) and then Christmas. One fun thing we did was to take the kids to Bass Pro’s Shops to see Santa and to let Joseph play with the fun things they had set up for the kids. 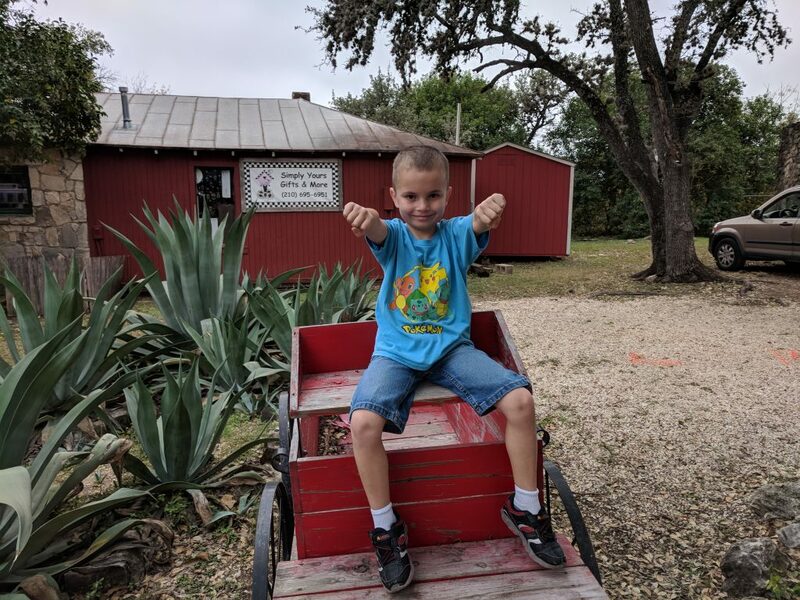 I also took both kids to the monthly market day in Old Town Helotes to look around at all the craft booths. The Weekly Weather: We’ve had cool mornings, warmer afternoons, and then cool evenings. It sort of reminds me of California. What Paul’s Been Up To: He’s busy with work and school (the semester is going to be wrapping up relatively soon). He also spends a lot of time with Joseph, playing games together (which Joseph absolutely loves). Oh, and he did a bit of maintenance on the neighborhood Christmas decorations (a never-ending task, it seems). What Joseph’s Been Up To: He’s settled back into the school groove after his week off and also loves having his free time in the afternoons to play with Abigail as well as his toys and games. Have I mentioned that I love, love, love the fact that they aren’t giving them homework?! What Abigail’s Been Up To: She loves exploring parts of the house now that she’s scooting along at a good pace. 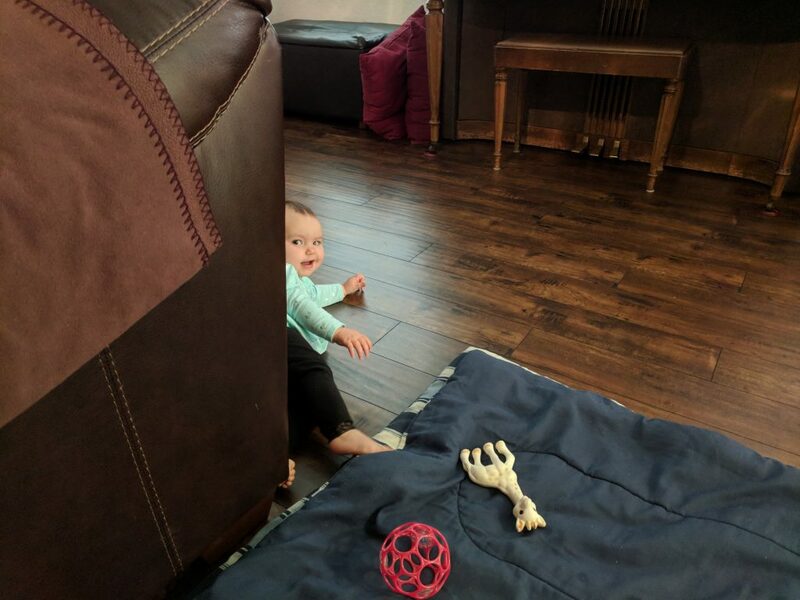 She’s also starting to try to get up onto hands and knees for a full-on crawl and has even hinted at trying to pull herself up onto other stuff. This has resulted in turning into a very squirmy baby when I try to hold her on my lap…she wants to go, go, go! 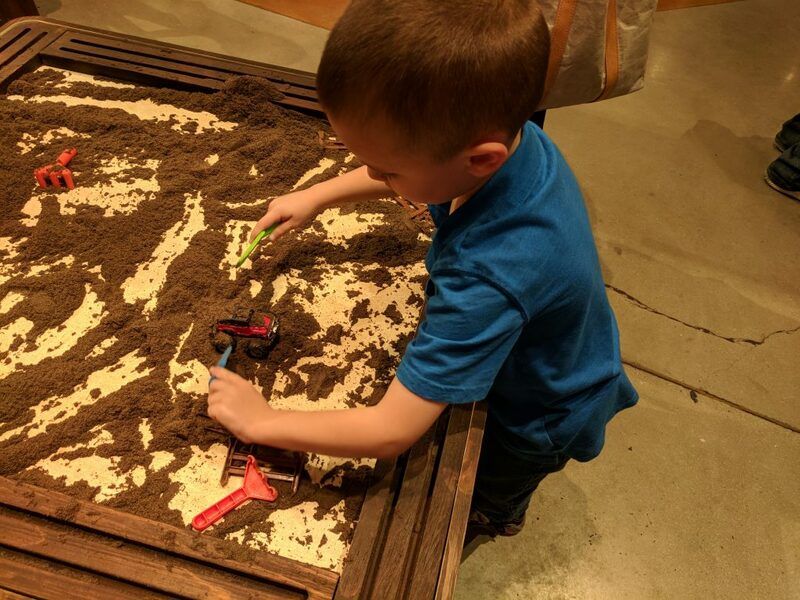 One of the things that Joseph loved to play with at Bass Pro’s was this table that had kinetic sand (to look like dirt) with various little shovels, rakes, and mini construction vehicles (dump trucks and the like). He also liked the archery area (suction-cup tipped arrows to aim at wooden ducks). Ever since Jason and Paul lived with us I have been an anti homework person. They spend so much at time at school doing fun things and then they are sent home with a bunch of homework.